Locksmith 85023 | Local 24 Hour Service | Metro Lock & Safe Inc. 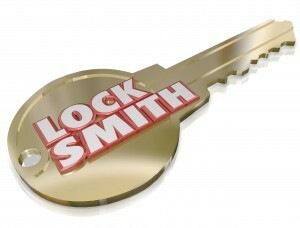 When you’re looking for a locksmith, 85023 is home to one of the areas best locksmith companies. Metro Lock & Safe Inc. has been the areas trusted local choice for locksmith service for over 30 years. We provide a wide array of services for different property types. Home to a wide variety of businesses and homes, 85023’s locksmith needs are varied. When customers call us the situation often isn’t ideal. Lockouts, break-ins, and repairs can all cause stress. Our locksmiths in 85023 are friendly, compassionate, and always remain calm. Put your mind at ease knowing experienced local help is on the way. Our locksmiths always have the right tool for the job, and arrive prepared to complete any job without the need to return to our shop. Hiring for experience and demeanor makes the experience better for our customers, ensuring great service and craftsmanship. Commercial Services – Businesses face some unique challenges that home owners don’t typically deal with. When something goes wrong with a money safe or a door lock becomes damaged it can represent a threat to security that can shut down business. When you need a locksmith, 85023 emergency service is always available and always immediate. We’ll assess the situation, prepare, and get one of our professional locksmiths to you in 20 minutes or less. When you need services during business hours our locksmiths are discrete and professional. We’ll get the job done efficiently, reliably, and quietly. Many of the industries we work with the most must maintain the strictest levels of client confidence and confidentiality. We exercise those same principals within our business. That way you get the repairs, installations, and replacements you want with the discretion you need. Home Services – Our locksmiths perform a wide range of home services. With a massive variety of safe types we only hire well rounded, capable, certified locksmiths who can handle the demands of our customers. That includes working with alarm systems and access control in addition to standard locksmith services. Security extends to gates as well. For those looking for traditional systems we offer a range of high quality padlocks. Safe Services – For a locksmith, 85023 citizens expect complete services. Whether you have a safe you can’t open, need a safe installed, want repairs or a combination change we can help. Our safe services extend to important home safes like those for data, guns, fires and more as well as business safes for money and precious goods. Don’t let your safe stop you from leaving your property alone when great service is just 20 minutes away. For complete locksmith services from a friendly and skilled veteran locksmith in 85023 call (602) 663-9828 or Contact Us today.